You and your guests will have great photos and memories of the fun they had at your event! 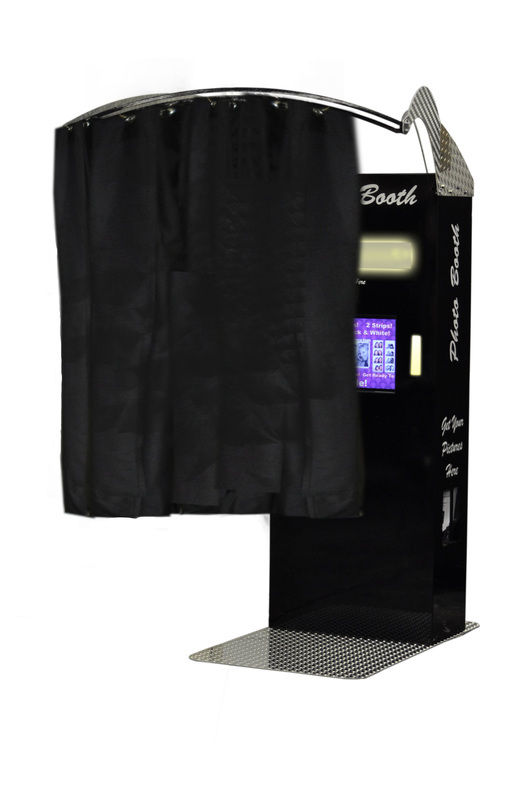 Our Open-Style Photo Booth allows multiple people to comfortably fit and create a fun keepsake of your special event. 4 or 5 Hour Photo Booth Rental! "The photo booth was beyond amazing! The props were excellent. And it was so nice to leave with the photo booth book! Definitely one of my favorite mementos from that night! Great job!" "You were a HUGE hit and I have already been asked to include you in our budget for our next Holiday Party. Thanks for helping to add fun excitement to our evening. I look forward to receiving the flash drive in the mail to see all the crazy pictures people took!" "We had sooooo much fun with the photobooth at our wedding. The photo guest book came out great and we LOVE the photos that DIDN'T make the book on the flash drive!!!! You guys were so accommodating, the props were an absolute blast and our guests couldn't get enough of the photo booth. One of our best wedding choices!!! Thanks again!"